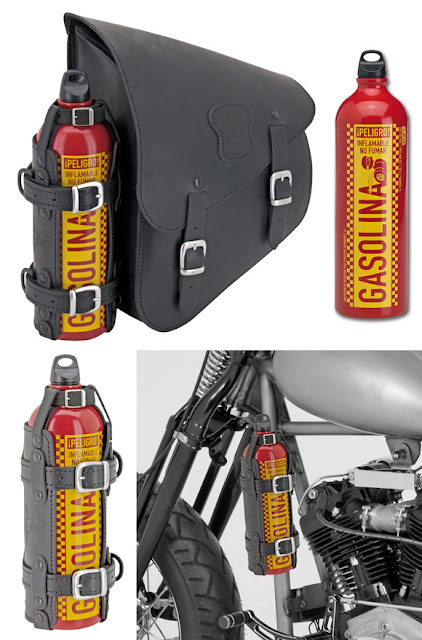 The Biltwell "GASOLINA" fuel bottles and Texas Leather fuel bottle holders. YES, THEY ARE IN STOCK! Just in time for your holiday trip! The Biltwell "GASOLINA" fuel bottles and Texas Leather fuel bottle holders.